It looks like the two Ruana brothers are turning out a traditional and excellent product. 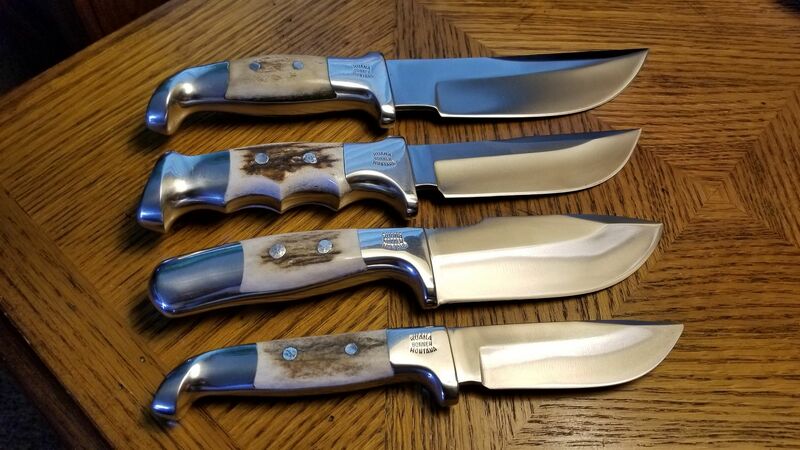 The statement he made about Rudy being mainly concerned about the knife's function over finish is true, the ones made by Rudy are less finely finished than the newer ones. 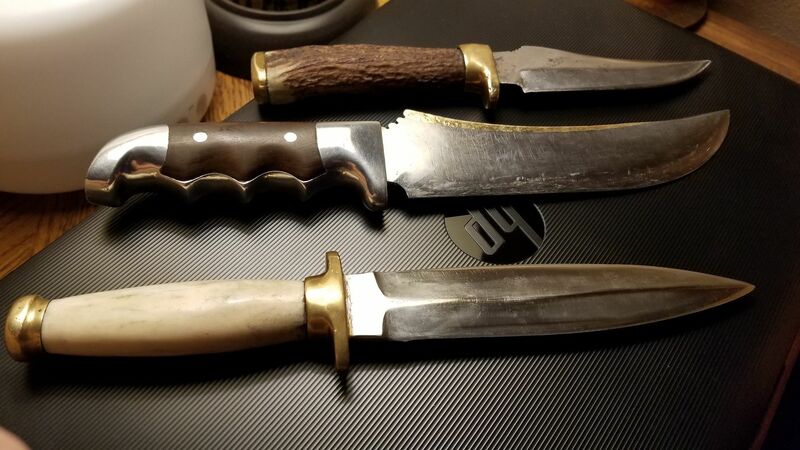 I have friends around Missoula who bought all their hunting knives from Rudy,and used them for many years. Then one day they found out how much they are worth now. The knives are now all in their safes,and no longer used for hunting. I've collected a few. 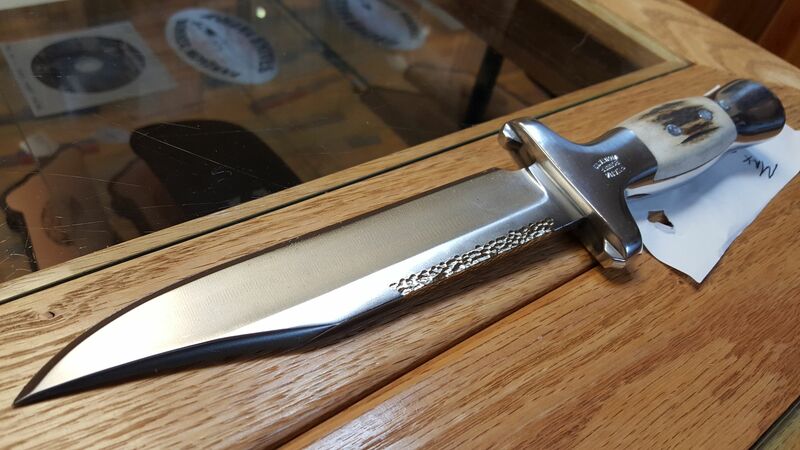 Here is a pic of Mike Hangas selling me a Ruana Bowie. (10-29-2018, 04:39 AM)Makael Wrote: I've collected a few. 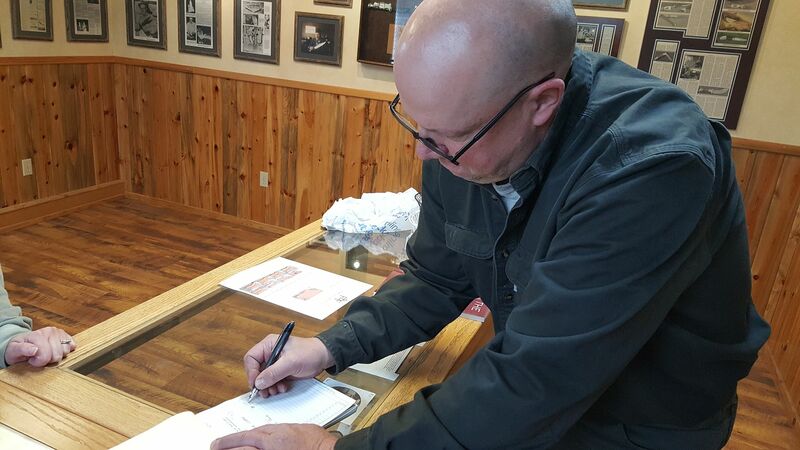 Here is a pic of Mike Hangas selling me a Ruana Bowie. Lol, they have my attention. Great guys at Ruana. 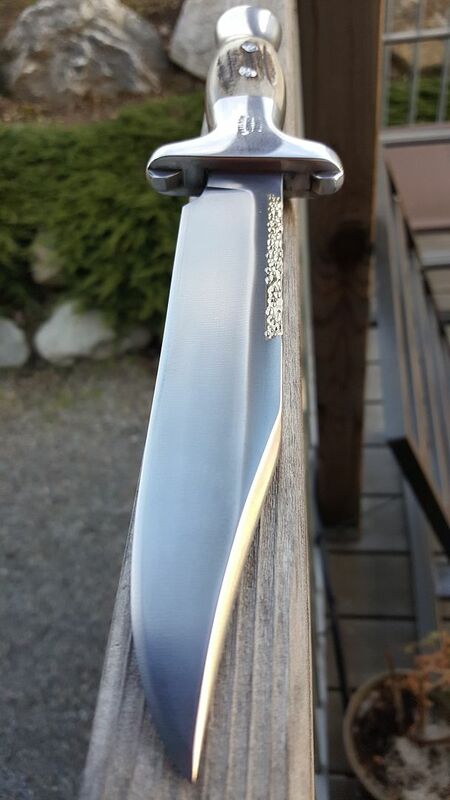 Good looking bladeage! Thanks for sharing. Current time: 04-22-2019, 04:41 PM Powered By MyBB, © 2002-2019 MyBB Group.